A twisted fairy tale, where the hero is a goblin, dragons are small, the princess doesn't need saving and the giant really isn't that bad. 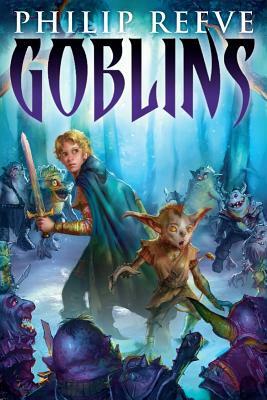 Goblins is a well written and funny fantasy adventure. Reeve (author of the glorious Mortal Engines series), is a master storyteller and he builds the Goblins world with some deep mythology and history. I'm particularly impressed with the descriptions of place in this book, it all seems so real. A very satisfying read for 10-14 year old fans of fun magical stories. Published August 27, 2013 by Scholastic (published a year earlier in the UK).